OpKey is a tool agnostic test automation platform which provides a complete end to end functional test automation solution. It provides solution for varied platforms like web, mobile, desktop etc. Its integrations with many tools such as selenium, watir, soapui, robotium from open source world, and with QTP, RFT, etc available from commercial tools. It has got many useful features like in built object management, test data management, recorder, integrations with CI, ALM tools. The latest in OpKey is its Cloud Platform which provides you a solution to run your automation suite on more that 100 OS browser combinations in parallel, which helps you save both time and cost on test automation. OpKey is not an automation tool in itself. 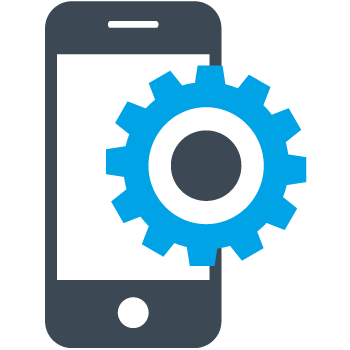 It integrates with the existing automation tools available and provides a complete end to end test automation solution. I’m using selenium webdriver right now in what manner OpKey helps to reduce my work? OpKey is not only for web application. With OpKey you can automate many different applications like web, mobile; desktop, web services etc if the underlying automation tool supports it. Well, with aid of selenium web driver we should be able to automate the WPF applications and also use our image test based engine with sikuli if required. We can conduct a small poc for you to showcase the same. Yes, OpKey allows you to export your results which you can then save in any system location. Can OpKey set up connection with external data sources? Can we do load & performance testing with OpKey? OpKey is a functional test automation tool. It is in our pipeline to integrate it with our other testing solutions to provide an enterprise level end to end test solution. We as an organization provide performance and load testing as a solution. You can refer this link here- http://www.crestechglobal.com/solutions/application-performance/ If you require more information on it please let me know and I will direct it to the right personnel. Can we run same test simultaneously in two machines with OpKey? Yes, OpKey Personal provides you a solution over cloud, where you can easily put the same test suite to run on different OS browser combinations. To know more visit- https://opkey.crestechglobal.com/cloud/ Or with OpKey higher editions which comes with component, OpKey authoring and OpKey agent, it allows you to run the same test on two different machines. You can do so by using the OpKey scheduler feature and schedule the same suite to be run on two different test machines which has OpKey Agent installed. 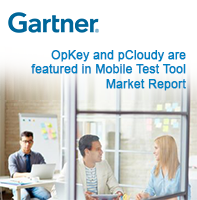 Does OpKey supports testing mobile applications? How OpKey is different than sauce Labs? Sauce labs is a test automation solution over selenium available on cloud. This is one of the features with OpKey. OpKey is a complete, end to end test automation solution. It has integrations available with many test tools like selenium rc, webdriver, watir, QTP, RFT, soapUI etc. It comes into various editions like personal, team and BPT to support different testing needs of test teams. You do not require knowledge of any programming knowledge to use OpKey, but the same is not true with Sauce labs solution. OpKey Cloud provides you a solution to run your tests on a always ready and available test lab, which infrastructure management is not your headache. It makes available more than 100 browser OS combination to facilitate your test automation. OpKey also provides integrations with external tools of ALM, CI, and defect management. How to handle recovery scenario with OpKey? No, you are not required to know any programming knowledge to work with OpKey. It provides a unique platform which makes available more than 500 pre built keywords, which covers almost all generic automation actions required. It also provides a BPT edition which facilitates the business analyst to actively participate in test automation. What if the keyword that we require is not available in OpKey? Reference for OpKey keywords is available here - https://opkey.crestechglobal.com/opkey-help/?subid=61&accordid=4. Also in the test case view; as you select each keyword its description is available in the same grid. How would I execute same test on multiple machine on my local environment with OpKey? OpKey higher editions like Team and BPT comes up with OpKey agent as a solution which can be installed on as many local machines as you require to use for automation run. So you can use different machines to author and execute your test cases. This allows you enough flexibility in your approach for test automation. I added the xpi file, and have followed all steps. But my actions are not getting recorded by OpKey what to do? Can you check the following? I am in gaming domain.I generally automate flash games and use sikuli,autoIT. How can i use OpKey? OpKey offers unique image based test automation solution, which provides pre built keyword over test automation tools Sikuli and AutoIT. You can also create your own customized keywords if require. We can conduct a small poc for you to showcase automation of your flash games application with OpKey. A local machine port is needed for the communication of OpKey & SeleniumIDE for OpKey. You can give any random number ranging from 1 to 65535. The default port(8282) must just work fine. Just make sure your firewall or antivirus is not blocking it. I have a different version of selenium IDE, so will the xpi file- selenium ide for opkey work? Which version of Selenium IDE is being used for OpKey Recorder? Currently we are supporting SeleniumIDE version 2.3. We are planning to release the versions 2.2 & 2.4 soon. Will OpKey Recorder work only for Firefox? How to iterate a scenario with OpKey? Like If I want to Check if an element present in a webtable? OpKey integration with Coded UI is currently under development stage, and is one of the coming soon feature.